Embroidery dates back to the 3rd-5th century BC and the period of Warring States in China. The art of embroidery originated from the process of tailoring, patch making, mending and strengthening cloth which encouraged the development of new techniques in sewing and indeed the decorative possibilities of sewing. Through history, Indian embroidery has been a tradition and a name to implore with, as far back as the 3rd century BC when Greek traveler Megasthenes praised the muslins of India. In a garment from Migration period Sweden, roughly 300�700 CE, the edges of bands of trimming are reinforced with running stitch, back stitch, stem stitch, tailor's buttonhole stitch, and whip stitching, but it is uncertain whether this work simply reinforced the seams or should be interpreted as decorative embroidery. -The notable firmness in the basic techniques involved in embroidery stitches is one of the striking features in the enhancement of embroidery where there are no major changes either in the material or the techniques which can be said as advances in the field of embroidery from ancient method to the latest enhanced technical ones. But however the primitive works involved lot of technical accomplishment and high standard of craftsmanship which is rare to see in the recent work. During the period of the Mughal Emperor Akbar in the 16th century, a chronicle written by Abu al-Fazl ibn Mubarak states that Akbar paid more attention to various stuffs like Irani, Ottoman, and Mongolian articles of wear whose textiles was exclusively embroidered in the patterns of Nakshi, Saadi, Chikhan, Ari, Zardozi, Wasli, Gota and Kohra. -The royal workshops in and around Lahore, Agra, Fatehpur and Ahmedabad are very popular for their workmanship in various fabrics involving patterns, knots and embroidery work which even now astonish the local people and the travelers coming to this place. The embroidered fabrics draped in places of feasts transcend the limit of description. The art of embroidery was of a great significance in the Medieval Islamic world. Embroidery is also known as "craft of the two hands" which was coined by a Turkish traveler Evliya Celebi who visited India in the 17th century. Also according to the Muslim societies embroidery was considered as a status symbol which led to further popularity of this art. -In some of the Islam dominated cities like Damascus, Cairo and Istanbul one cannot miss out embroidery for it was done on handkerchiefs, uniforms, flags, calligraphy, shoes, robes, tunics, horse trappings, slippers, sheaths, pouches, covers, and even leather belts. In ancient period embroidery was mostly done using gold and silver threads and due to increased demand for such products a number of embroidery cottage industries were started where nearly 500 - 800 people were employed. Using of embroidered cloth marked the status of a person's wealth in many culture like ancient Persia, India, China, Japan, Byzantium, and medieval and Baroque Europe. -Embroidery was initially a handicraft which involved decoration of fabrics or other materials with needle, colorful yarn, metal strips, pearls, beads, quills, and sequins. 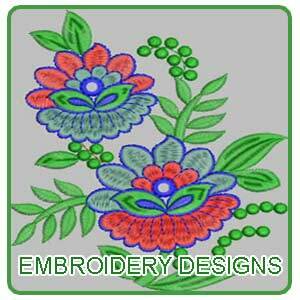 However now embroidery is also done with special sewing machine designed for the purpose of embroidery. Embroidery work is not only done on clothes and other drapery materials but also on caps, hats, coats, blankets, dress shirts, denim, stockings, and golf shirts. The basic fundamental techniques even after the advent of machine embroidery remains the same which includes embroidery�chain stitch, buttonhole or blanket stitch, running stitch, satin stitch and cross stitch. During the early period of Industrial revolution with the machine embroidery, the hand embroidery was copied especially with the making of chain stitches. -The satin and the hemming stitches done by machine relied on the use of multiple threads and resemble hand work in their appearance but not their construction. The earliest machine embroidery was carried out in France in the 1800's where the outcome was a blend of machine looms and teams of women embroidering the textiles by hand. Soon machine- made embroideries became quite famous and the art flourished by the latter half of the 19th century especially in eastern Switzerland. Embroidery can be classified according to whether the design is stitched on top of or through the foundation fabric, and by the relationship of stitch placement to the fabric. The weave of the fabric on which embroidery has to be done is not considered in case of designs based on free embroidery like that of the crewel and traditional Chinese and Japanese embroidery. -Whereas this is not the case with cross stitch counted thread embroidery for in this stitches are done on those fabrics in which the number of threads is already decided in advance. This type of embroidery is very easy on those fabrics which have an even weave like an embroidery canvas, Aida cloth, or specially woven cotton and linen fabrics. But however it can also be done on a non-even fabric too like that of a needle point and some forms of black work embroidery. When embroidery has to be done on a canvas work which has a fabric mesh then the needle has to go through this mesh to form a close pattern where the entire fabric is covered with stitches. The counted thread technique was quite common in ancient bargello. But later with new inventions in the 19th century the canvases were available with prints and hand paints on it which helped in leading the placements of the different colors of yarn. This kind of embroidery was more suitable for pictorial rather than geometric designs. In case of drawn thread work and cut work the fabric is deformed or cut away where holes are made then worked with embroidery. This is mostly done with threads of same color as that of the foundation fabric. When it is done on white linen with white thread then the work is collectively known as white work. The Phulkari embroidery which originated from the Punjab region is done on hand-spun cotton cloth with simple darning stitches using silk floss. The yarns and the fabric used for embroidery varies from place to place like during the ancient period wool, silk and linen was commonly used whereas today the threads used for embroidery works are produced using cotton, rayon and novelty yarns. -Ribbon embroidery is one of the latest fields which use a narrow ribbon made of either silk or a blend of silk and organza. Ribbon embroidery is mostly used to do floral motifs. The surface embroidery usually uses chain stitch and couching which is mostly used for gold work. Both canvas work embroidery and surface embroidery use a frame which keeps the fabric stretched which helps in preventing pattern distortion. The latest canvas work has more of symmetrical counted stitching patterns with designs emerging from the repetition of one or just a few similar stitches in a variety of hues whereas in a surface embroidery wide range of stitching patterns are used in a single piece of work. Varieties of fills are used in machine embroideries which add texture and design to the finished work. Logos and monograms can be done on business shirts or jackets, gifts, team apparels, household linens, draperies, and decorator fabrics by machine embroidery. -The art of embroidery suffered a lot during the period of British rule and the artisans confined themselves to home and only those who were really fond of this craft and had a passion for it carried out this art of embroidery. However after Independence lot of efforts were put in to revive back this industry. Though lakhs of people are getting employment through this art form they are also facing lot of challenges like finance problems, technology and skill upgradation, production and marketing of the product which again makes the entrepreneurs and artists endangered. Most of the embroidery units come as a cottage industry of the handicraft sector. The coastal state of Gujarat comes with embroidered articles from Kutch. During the last few years the export of these embroidered products has grown from 110.23 crores to 216.82. -The government has come up with number of new policies to train the people who are involved in this embroidery art form which usually falls under the cottage and small scale industries. Different kinds of fabrics are available in the market in cotton, linen and in blends with different thread counts. Some of the most commonly used fabrics in embroidery are Even weave Fabrics, Aida fabric, Hardanger fabric, toweling and readymade items. There are number of companies which are actively involved in Fabric Embroidery projects with the assistance of specialized master craftsmen. Zardozi embroidery which means sewing with gold is a very primitive one which is existing in India from the time of Vedas. Though it flourished a lot during the Mughal period but declined soon with loss of royal patronage and industrialization. 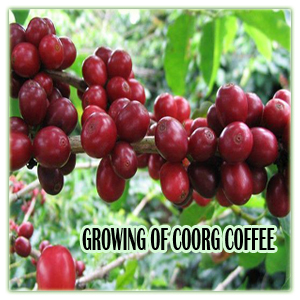 -Now it is once again quite popular in cities like Lucknow, Bhopal, Mumbai, Chennai and Kolkata. Fabric embroidery is quite antique which includes phulkari, kalamkari print of wool, etc. Kantha is a traditional Indian surface technique which originated centuries ago in Bangladesh in a form of decorated quilt. 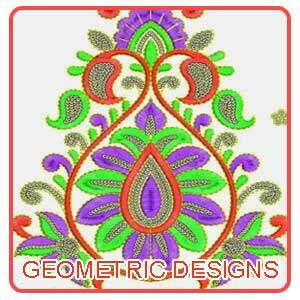 There is no specific pricing for embroidered products for it mostly depends on workmanship and the time involved for some may be a small work whereas few may be worked heavily. Embroidery work can be priced depending on the complexity of the design and how much thread, and how many colors are used. The time it takes to create the embroidery can be billed for as well.